Pridi Banomyong was one of the prominent leaders in the 1932 coup that changed the absolute monarchy in Thailand to a constitutional monarchy. A brilliant and charismatic leader, Pridi laid the foundations for modern constitutional government and is regarded as the father of Thai democracy. He was born in Ayutthaya on 11 May 1900 of a Chinese father who was a rice merchant. A brilliant student at an early age, he completed his secondary education at 14 and graduated from law school at 19. Awarded a scholarship to study in France, Pridi completed his Masters and Doctorate in Law at the University of Paris at the age of 27. In addition, he received a diploma in economics. In the 1920s the spirit of revolution was in the air. There was heightened political awareness among Thai students studying abroad, stimulated by the political and social climate of the day. It was the radical politics in France that sowed the seeds of socialism and democracy in Pridi Banomyong's mind. Here he met Major Plaek Kittasangkha, later to be known by his title Luang Phibun Songkhram, on advanced military training in France. Together with others, they plotted to change the absolute monarchy to a constitutional one. Both these two men were to have a great impact on Thai politics in the years to come. Both were to become Prime Ministers and also bitter adversaries later in life. The six point political plan formulated by Pridi and his People's Party consisted of national independence, national security, economic planning, equality, liberty and universal education. At dawn on 24 June 1932, the small group led by Pridi Banomyong and Phibun Songkhram launched a lightning coup. The details of that coup are in the 1932 Coup. The conservative military under Phibun and the radical People's Party led by Pridi Banomyong, made strange bedfellows. But the alliance held until the outbreak of World War II. 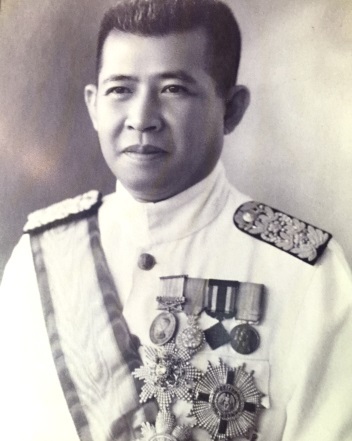 From 1932 – 1949, Pridi Banomyong was Minister of Interior, Foreign Affairs, Finance, Regent, Seri Thai (Free Thai) resistance leader, Senior Statesman and Prime Minister. He saw five Prime Ministers, a World War, five coups and went into exile three times. The tumultuous years after 1932 are detailed in Coups in Bangkok. Pridi Banomyong wrote the first constitution for Thailand. This was followed by the Elections Act 1932 providing for national elections and universal suffrage, a major step forward. As Minister of Interior (Mar 1933 – Aug 1937) he enacted laws for municipal government and an administrative court outside political control. In 1934, Pridi proposed an economic plan for the nationalization of assets and the conversion of all workers to state employees. His plan was rejected outright, he was denounced as a Communist and had to leave country temporarily. This was a sign of worse to come. His rejection of King Rama VII's proposed amendments to the constitution and the government's treatment of the royal family after the 1932 coup caused deep offence to the royalists. This and the Communist stigma were to hound him for the rest of his political career and life. The People's Party increased investment in education and instituted compulsory education. 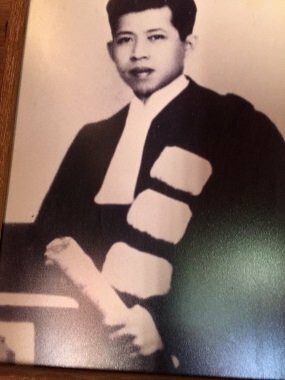 In 1934 Pridi founded the University of Moral and Political Sciences, later called Thammasat University and became the first Rector. As Minister of Foreign Affairs (Aug 1937 - Sept 1938) Pridi Banomyong repudiated and renegotiated all the unequal treaties imposed on Thailand by the European powers. These treaties covered extraterritorial rights and a limitation on import duties on foreign goods to Thailand by these powers. After the November 1938 elections Pridi was Minister of Finance (Dec 1938 – Dec 1941) under the Phibun government. He revamped the entire taxation system. Unfair taxes like the head tax, paddy field tax were abolished and a proper taxation system based on earnings and consumption was established. A national budget system was introduced. He nationalized the foreign tobacco industry which served as a valuable source of government revenue. As World War II approached, the militaristic and pro-Fascist Phibun broke ranks with the democratic and anti-Japanese Pridi. 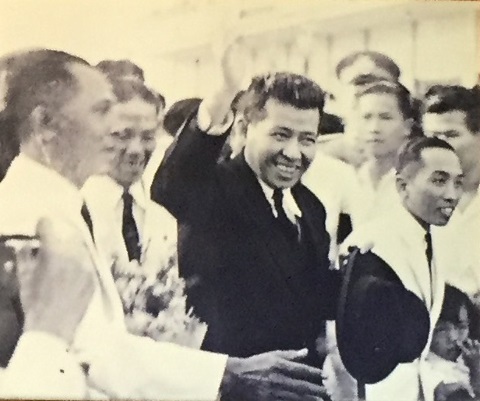 Pridi lost his ministerial post and was sidelined as Regent to King Ananda Mahidol. When Thailand declared war on USA and Britain, Pridi headed the Seri Thai (Free Thai) resistance movement in Thailand and operated under the code name "Ruth". When it was apparent that Japan was going to lose the war, the assembly dumped the pro-Japanese Phibun and appointed Khuang Apaiwong as Prime Minister. With Phibun gone, Pridi Banomyong as Regent nullified Thailand's declaration of war on the Allies and repudiated all previous agreements made with Japan. These shrewd moves pacified the Americans and saved Thailand from the severe war reparations that Britain intended to impose. With the return of King Ananda to Thailand in 1945, Pridi resigned as Regent and was named Senior Statesman. He continued to play an influential role in government. Pridi Banomyong became Prime Minister in March 1946, passed a new constitution for a bicameral parliament and laws to protect labor rights. The death of King Ananda Mahidol on 9 June 1946 sounded the death knell for Pridi's political career. He resigned as Prime Minister in August and went abroad. What was even more damaging; he was accused of regicide by the royalists. As Thailand was the only country in South East Asia that wasn’t colonized, Pridi played a leading role in promoting solidarity among the anti-colonial movements in the region. In September 1947, he founded the Southeast Asia League. In November 1947 Phibun struck with a coup. Pridi narrowly evaded arrest with the help of his British and US contacts and went into exile again. Arrests of his supporters followed. Pridi supported by Marines and Navy countered in February 1949 with a coup against Phibun. Fierce fighting ensued for three days. Pridi lost badly, his reputation tarnished further by the violence. In the aftermath, his men were ruthlessly purged. By now, the political winds have shifted. The West found it more expedient to support military dictators like Phibun for their Cold War operations. Pridi had become an embarrassment. Pridi Banomyong went into exile for the last time - this time to China. He would never see his homeland again. His acceptance by China gave his detractors more grounds to brand him a Communist. 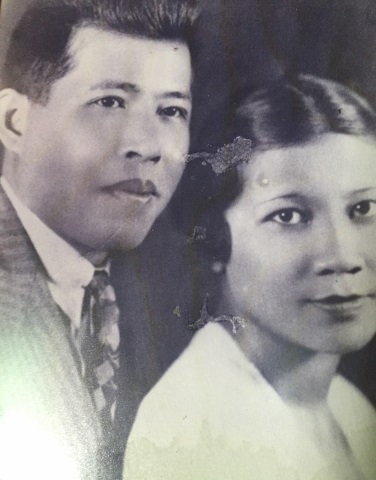 His wife Thanpuying Phoonsuk was arrested in November 1952 on charges of subversion. She was held in custody till February 1953. On her release she joined Pridi in exile with the rest of their children less his son who was also jailed. In May 1970 Pridi moved to Paris, where he died on 2 May 1983 after 34 years in exile. Only his ashes were brought home to Thailand to be scattered in the Gulf of Thailand. Thanpuying Phoonsuk returned to Thailand in 1986. In an interview in 2000, she remarked with some bitterness, "All Thailand ever gave us was a place to be born. When Pridi died, the Thai government didn't even send a wreath". That would have been a very sad and tragic epitaph for a man who played such a pivotal role in his country's political, economic and social development. How is Pridi Banonyong remembered in Thailand today? He was a profound political and economic thinker, providing the vision, the legal framework and political structure for constitutional government, the basis of which remains to this day. It was in education that Pridi left his lasting legacy. Thammasat University is a premier tertiary institution in Thailand today. Sois 1 – 50 off Sukhumvit Soi 71 are named after Pridi Banomyong. How many people living in the area know or remember the man after whom the sois were named? The Pridi Banomyong Foundation and Pridi Banomyong Institute in Sukhumvit Soi 55 promote research in social studies, art, music and culture. In a belated tribute in 2000, the centenary of Pridi Banomyong's birth, UNESCO named Pridi as one of the world great personalities of the century. In that year, articles appeared in the English dailies in Thailand vindicating Pridi and recognising his contribution to Thai politics and society. His wife, Thanpuying Phoonsuk, received the UN "Outstanding Women in Buddhism" award for her peaceful courage in the face of grave personal hardship and political crises in 2005. The symbolism of the Democracy Monument in Ratchadamnoen Avenue aptly commemorates the change to constitutional government in 1932. The first Thai constitution written by Pridi Banomyong is enshrined in the pedestal within. Though there are many institutions, places and roads named after Pridi, this is the most poignant. The Thammasat Association, the alumni for graduates of the university, is located in Soi Ngam Dupli and can be reached from Soi Sathorn 3. Across the street from the alumni are two narrow lanes (soi), Soi Pridi and Soi Poonsuk; one named after a man who stood by his beliefs and the other after the woman who stood by him. Thanpuying Phoonsuk passed away on 12 May 2007 at the age of 95. Her last wishes were for a simple cremation with no honours, no wreaths or prayers. Relatives were informed of her death through the media. Her ashes were scattered at the mouth of the Chao Phraya River, near her birthplace. May she rest in peace in her homeland. To commemorate 110 years of Pridi Banomyong (1900 – 2010), a year-long commemorative event has been planned from 11 May 2009 – 11 May 2010. Pridi was born on 11 May 1910. For the English translation of Pridi’s literary work, please see Pridi Banomyong which covers selected articles on life, politics and economics. Given the dearth of books on Pridi and the establishment’s attitude towards him, one wonders when will official Thai history recognize Pridi’s contributions and grant him his rightful place in history?